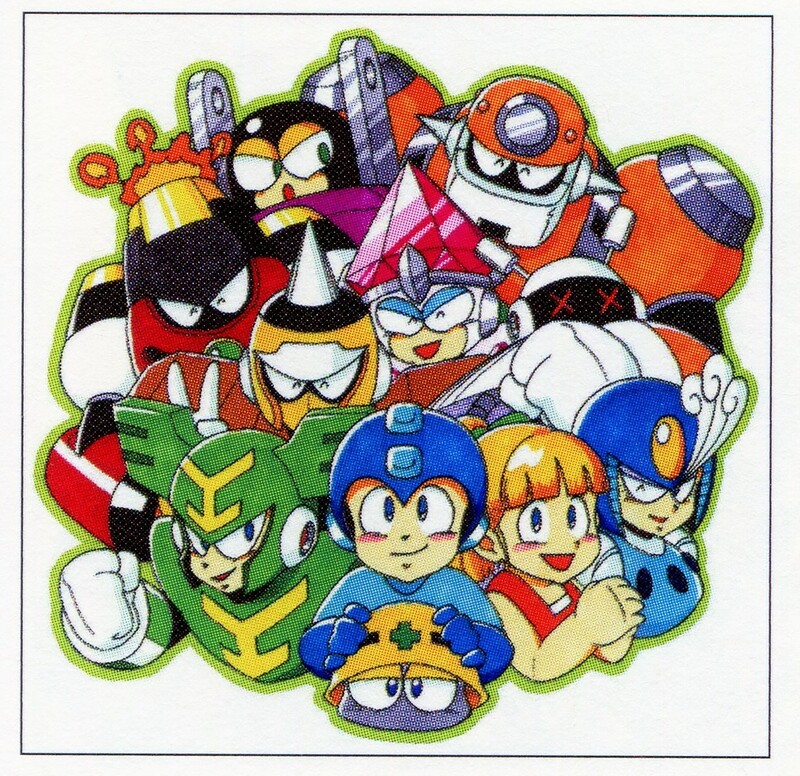 As I and the rest of the internet have been falling in love with Ryuji Higurashi’s comics-inspired, nostalgia-inducing Rockman Classics Collection cover art, I was reminded of another piece of his that appeared in one of Capcom’s official artbooks early this year. from Capcom Visual Works 2004-2014. 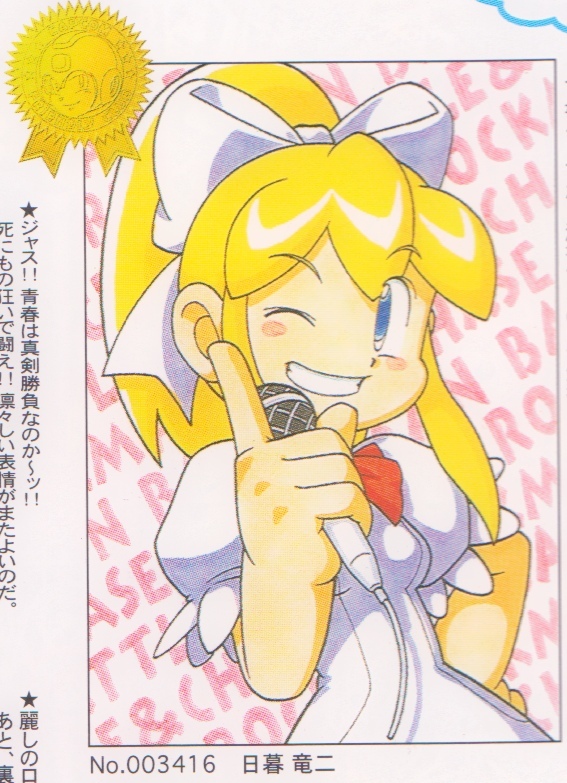 Higurashi was already a huge fan of Rockman even before starting at Capcom at the end of the 90s. 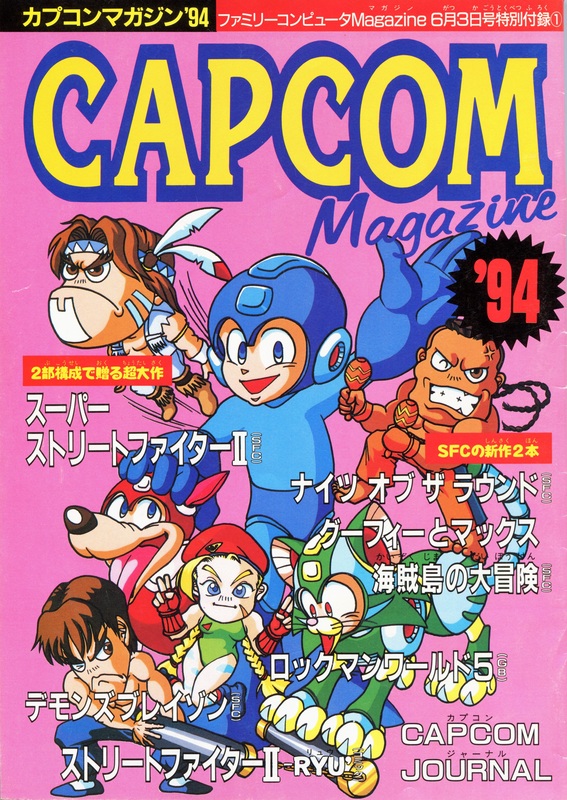 He first caught the company’s attention by submitting his fan art to Capcom’s fan club magazine CAP! that was published 2 to 3 times a year in Japan. You can view these early submissions here:    . 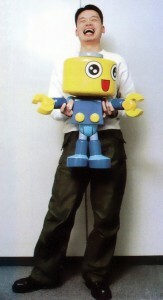 Once Higurashi had been officially hired on, Capcom put his youthful enthusiasm to good use by putting his talents to work on the commercial illustrations for the Rockman Complete Works series of games which ported the first 6 Rockman Famicom titles for individual releases on to the Playstation between August and December of 1999. 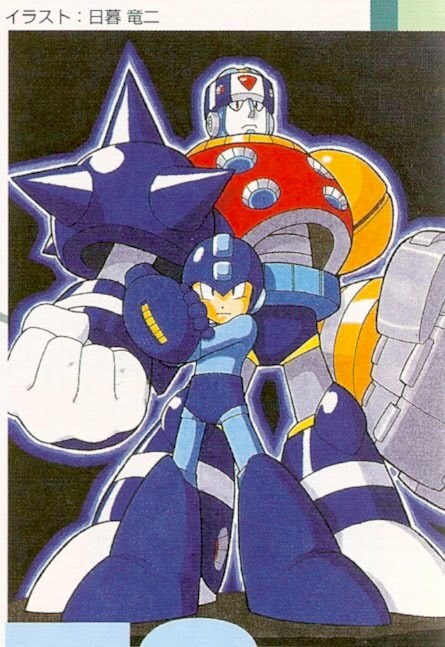 He’s been a huge contributor to Rockman series art ever since, particularly when they want to achieve that “classic” Rockman style. 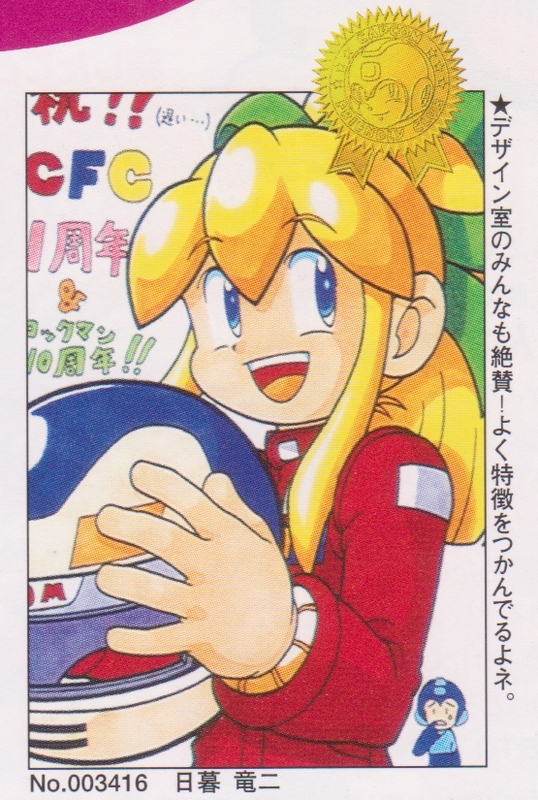 He did the lion’s share of promotional art when Capcom brought the early 90’s 8-bit look back for Rockman 9, as image above clearly attests to. At the same time, he’s also capable of pushing the envelope, which is why Capcom put him in charge of overseeing Mega Man’s new look for Super Smash Bros 4. 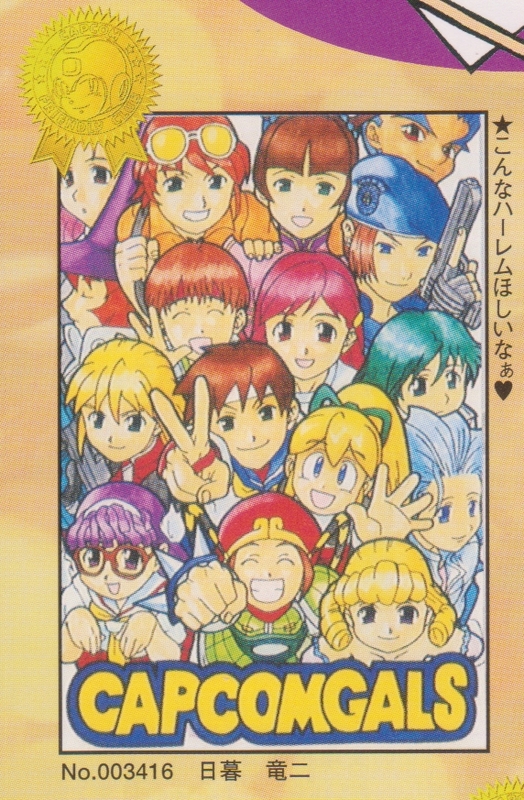 And here he is now, 16 years passed from where he started, working on the cover for another Rockman 1-6 collection — just like how it all began. As he has proven once again, he’s certainly the right artist for the job. I’m often of two minds on how to go about this blog, and I want your opinion on it. 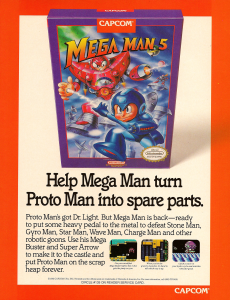 Option 1: Focus on in-depth articles that really probe and examine the history and lore of Mega Man, with full translations and references and large interspersed images. + Better overall quality of information and presentation! – Takes more time and effort, meaning updates are irregular and sporadic. – I will usually run out of steam long before I actually finish the things I start, resulting in posting half-finished articles and in dropping some topics entirely. Option 2: Post up more little things, such as fun images or trivial observations. Break translations down into small sections at a time instead of whole pages all at once. + Potential for regular actual updates! – Makes me less likely to commit to completing the larger, fuller article styles mentioned above. At various times in the past I’ve tried combining bits of both, but I sometimes think it would be better to try and commit to one method or another, particularly in trying to get a working routine down. If you feel like throwing your 2 cents in, I invite you to share your opinion on this poll which will be up for about 2 weeks. You can vote for up to 2 answers if you feel like being sassy. How should I run this blog? New Leader of the X-Hunters? You can find my usual analytical overindulgence in this concept below. Tracking down the pieces that got left out, forgotten, changed or intentionally removed from the Mega Man Legacy Collection. Mega Man Legacy Collection was crafted with one purpose in mind — to collect the six NES Mega Man games and present them as close as they originally appeared and played as possible. To that end, all the bugs, zips, graphical glitches and hard-coded slowdown are all included, as well as screen size options and filters designed for catering to your personal preferences regarding scanlines and nostalgic CRT TV pixelation and burn blur. Challenge mode mixes up game situations designed to challenge players’ creative problem solving and go about “breaking the game” in the fastest way possible, which is fun to try and just as fun to watch on the leaderboard’s playback. The museum and database serve as an archive of artwork and information on the series itself. If you want to hear a tune from any of the games’ many stages, you can load it up quickly and easily. 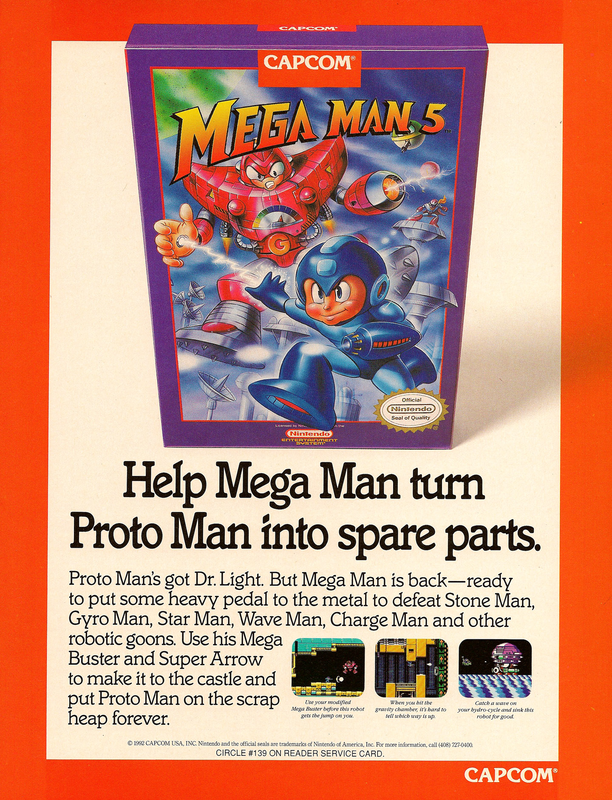 The target audience of this title include folks who first experienced these games in the late eighties and early nineties and who want to have a strong nostalgic Mega Man experience, people who are interested in the history and evolution of video games, people who enjoy watching and competing in speed running challenges, and people who enjoy Mega Man art and trivia. In other words, the target audience is me. So although I’m sure it will come as no surprise to any of my readers, I like this game. I think it’s a worthy purchase at $14.99. I picked it up on Steam because I don’t have a PS4 or XB1. I’ll probably pick it up again for 3DS when it comes out in Winter. With that bit of stating the obvious out of the way, I do have some criticisms I want to get off my chest. 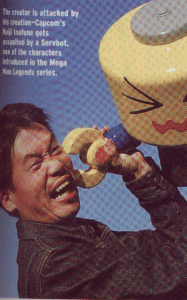 During the early PS2 era, Capcom would have a bi-weekly (or so) one-page feature in Japanese gaming magazine Famitsu Playstation with this header image. Sometimes the background color would change, but the picture would remain the same. 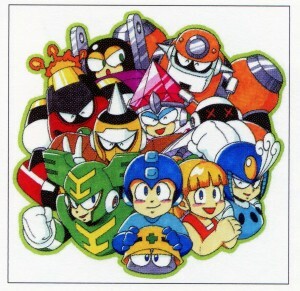 The art features famous faces from many late ’90s Capcom franchises, including many characters from the Rockman series like classic Rockman (with oddly shaped front solar panel almost resembling X’s helmet), Roll Caskett, Data, and a bunch of Kobuns. This particular column I took the scan from was actually about Rockman X5, and the text explains how it had been 3 years since the last main title release in the X series. You can see the rest of the page below. Rockman DASH team publicity photo from 1997. 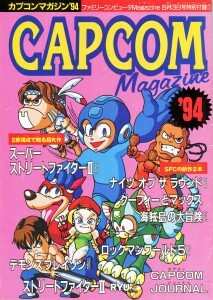 Top row (from left): Kazushi Ito, Miki Kijima, Keiji Inafune, Yoshinori Kawano. Bottom row: Yuuji Ishihara, Tomoyuki Kawakami, Masaru Ijuuin. Keiji Inafune in Dengeki, 2000. 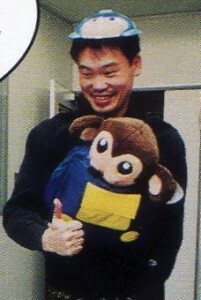 Keiji Inafune in EGM, 2000. Keiji Inafune in CFC, 2000. 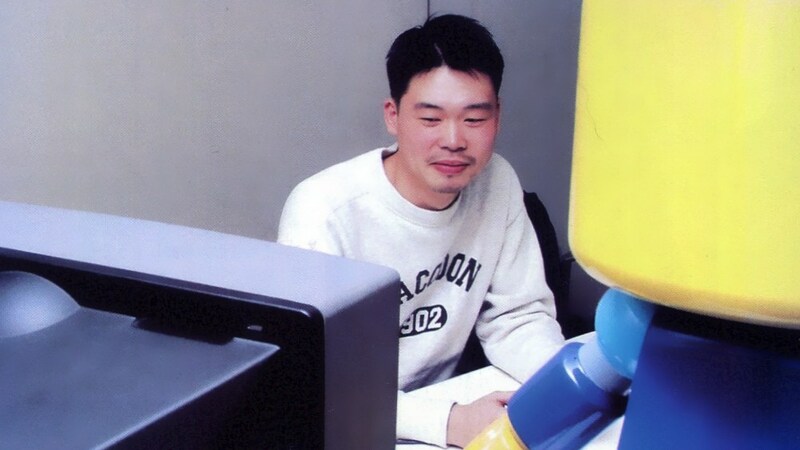 Keiji Inafune signs Servbot mugs, 2009. Keiji Inafune supporting Legends 3 revival, 2012. 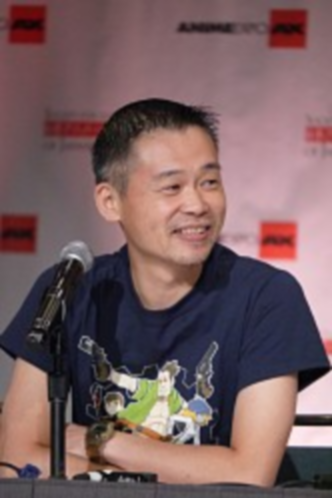 Keiji Inafune announcing Red Ash, 2015. They want to make a special kind of game. There’s 5 more days to help. All Aboard the CFC Express!